I’ve been a Barnes and Noble member for years and recently found the benefit of using the member card online. FREE SHIPPING! Where have I been? (Oh, I’ve been on Amazon where they upped their free shipping price margin.) 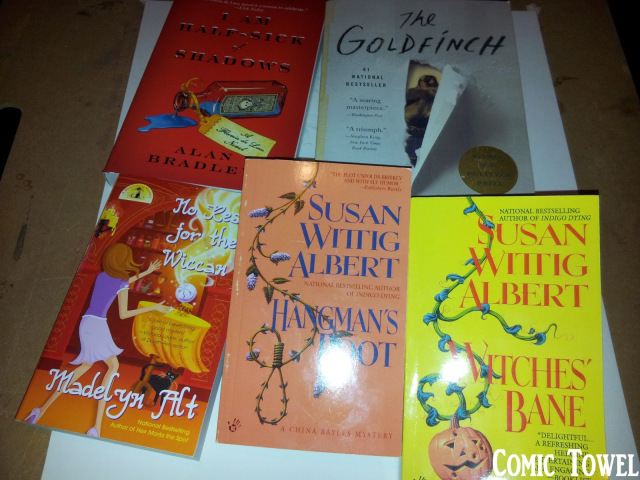 Nonetheless, with #MarchMysteryMadness coming up, I needed to stock books to fulfill the upcoming mystery reading challenges. 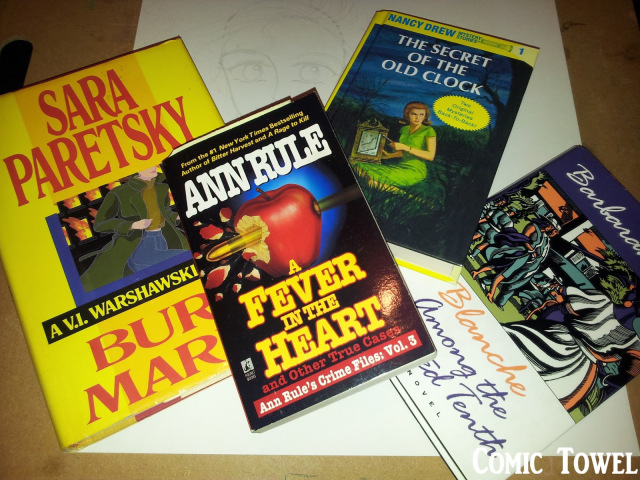 So those, and some books I've collected from a couple of used bookstores, are featured in this haul post. Many are from familiar series I plan on tackling #MarchMysteryMadness with–furthering my excitement for the challenges next month. 6. The Goldfinch by Donna Tart. Always, always wanted to give this book a go. With all the acclaim and praise, it slammed onto my reading radar. I was curious, and finally found this crisp copy for $4 at my public library’s bookstore. With it in hand, I drew the attention of a staff member who stopped to gloat her love/hate relationship with the book. This, naturally, fueled my excitement. Well, that’s it guys. I’ve been hauling the hell out of books so far this year–and can’t wait to get into them all. 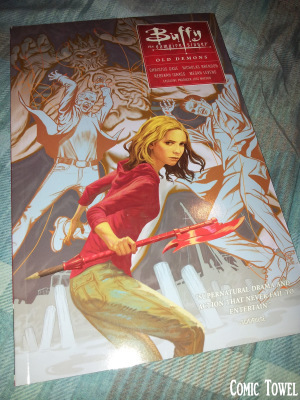 I have a copy of Buffy Season 10: Old Demons on the way also. And in an attempt to use my Kindle more, I ordered/downloaded Marcia Muller’s Ask the Cards a Question. It's book two in Muller’s Sharon McCone series. So basically I’m back in my reading playground. Cozies. Female sleuths. And murders. With a splash of literature on the side. Anyway, happy reading and all that jazz!